About my outfit, I fell in love with the print of this pants as soon as I saw Zara's lookbook--I stalked it for weeks until it was available online. By the time I realized it was available, everything was sold out. I also told a friend of mine about the pants and she loved it and wanted one too. They are just great for spring/summer. Have a lovely day & Happy New Month! Love love love the colors!!!! Now I want printed pants!!! I love your blog! Beautiful pictures! I'd love to follow each other... Visit my blog! These pants are to die for!! I love the blazer, I want it too! SUPER CUTE!!! Love this outfit. I adore those pants on you! Love those printed pants, Looking fabulous as always! I also loved the blog about the pointy shoes. You definetly inspired me! I love this outfit and I am dead for the sandals.gorgeous! I'v seen this around, you paired it best! accessories and all, i love it completely. congrats on finishing school. You look fabulous, I love those pants!! Those really are a cool pair of pants! Love the bold yet soft print (I think the baby pink softens the bold pattern) and love the pajama feel of them! Loving the nail polish color as well! I love your outfit. It is so well coordinated and the pants are fab. As a recent/fellow grad school alum, I know how you feel about not feeling guilty but DOESN'T IT FEEL GOOD TO BE FREE?! Great Pics - and fantastic outfit - that jacket went great with the pants - and I love the shoes - they are super cute. I really like this look! Your pants and stilettos look juz amazing! Oh and the print on your pants- looks really great! 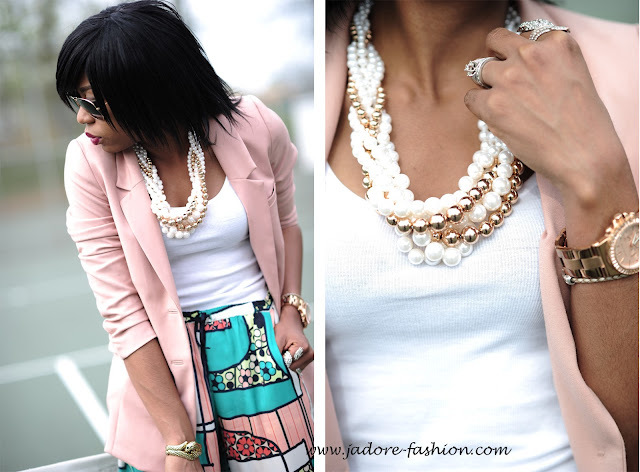 this look couldnt be any more fab I loveeeeeeeeeeeeeeee your style honey you rock this look !!! one of my many favorites!!! I love this outfit...those pants are fierce! What a super chic look. BEST pants ever!!! LOVE them so much!!! Wow! I love the print pants. Now that you are done with so, will we see outfit posts more often? We would love too!!! OMG those pants give me life!!! Love the print. Great look! Your outfit is simply perfect! I can't say anymore! You looks so so elegant, feminin and classy! I love these pants! You look fab. Just stunning! I am a fan from head to toe! What color is on your nails! Also, I remember the days of studying so hard day and night in pharmacy school. It's weird even after being done and a pharmacist for 5 years I still feel weird that I'm not studying! love it. i need those pants ASAP! You are just fantastic. I am including you in my blogroll. very nice! 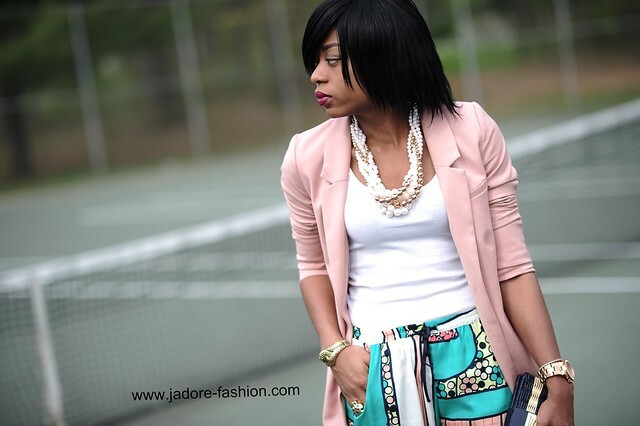 love the way you styled these printed pants! 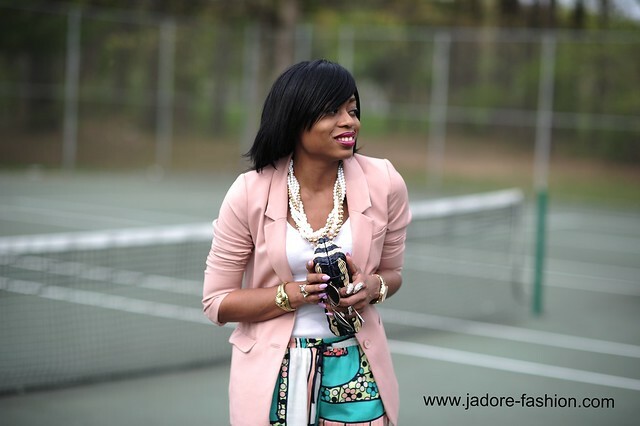 Jadore Jadore... don't I just love your blog? Oº°˚ ˚°ºh I love your scarf print pant. Incredibly lovely. Congrats on finishing your Masters Program. I love every part of this look! You look lovely. I love all of the pieces. That clutch is just perfection.